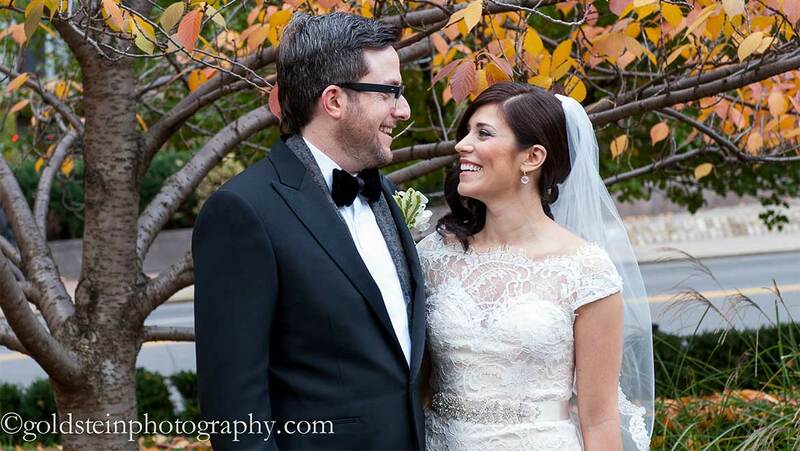 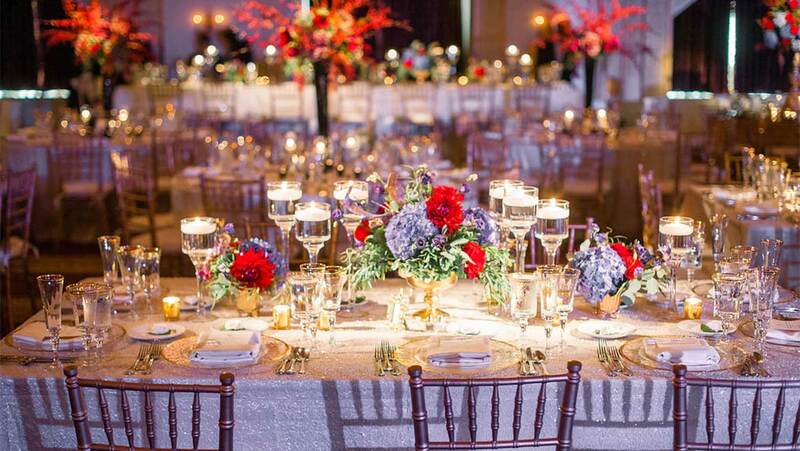 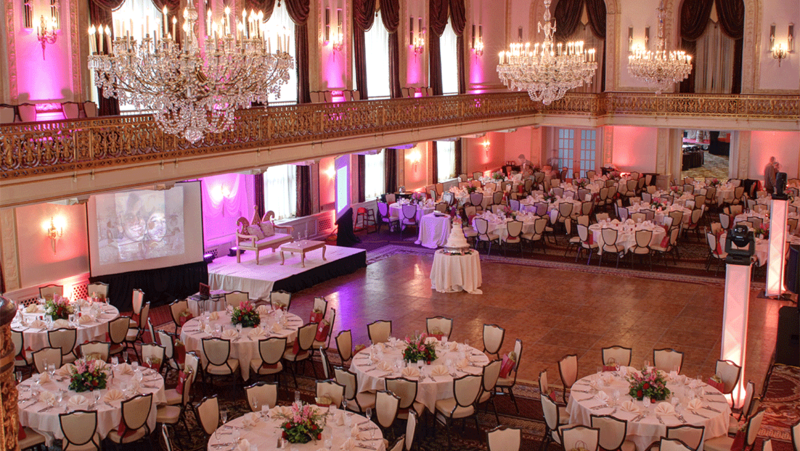 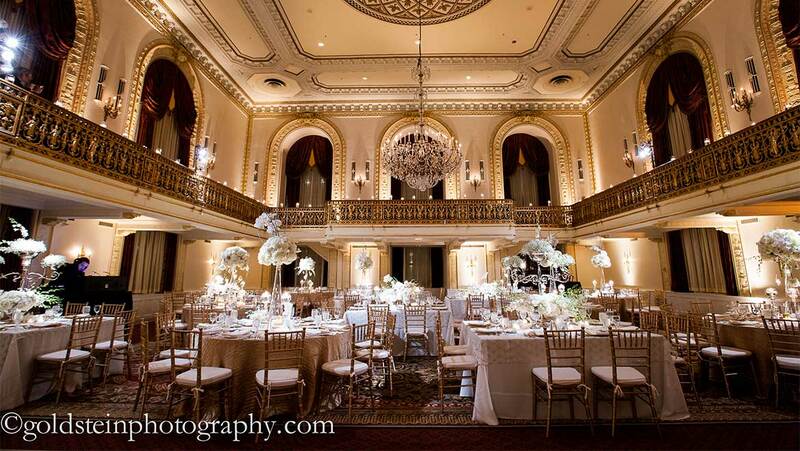 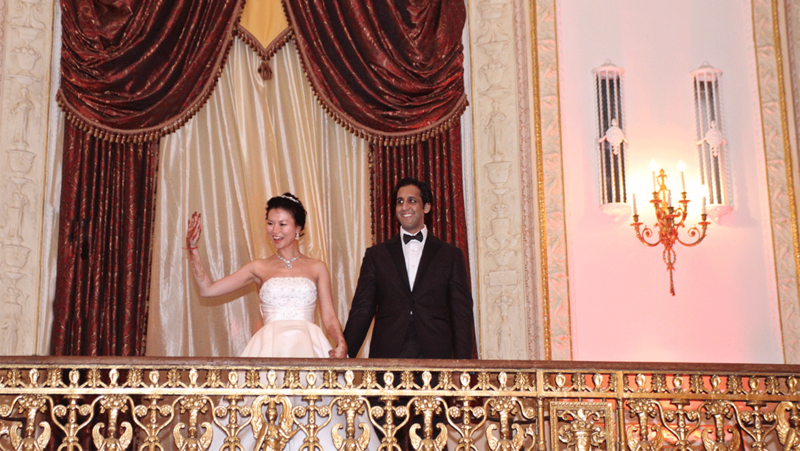 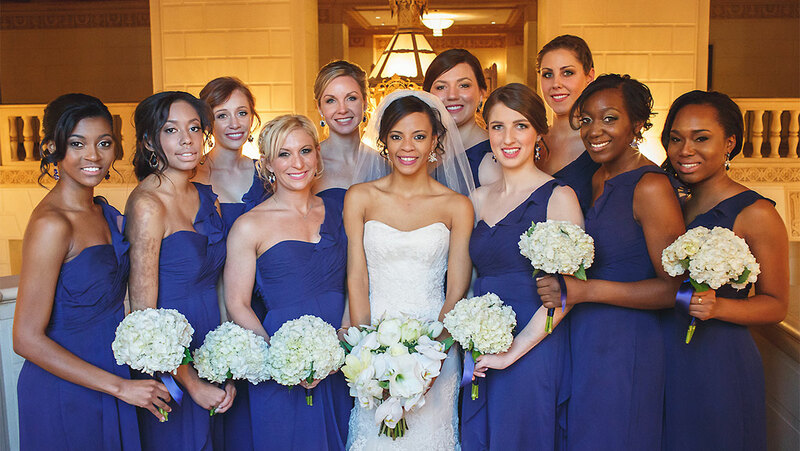 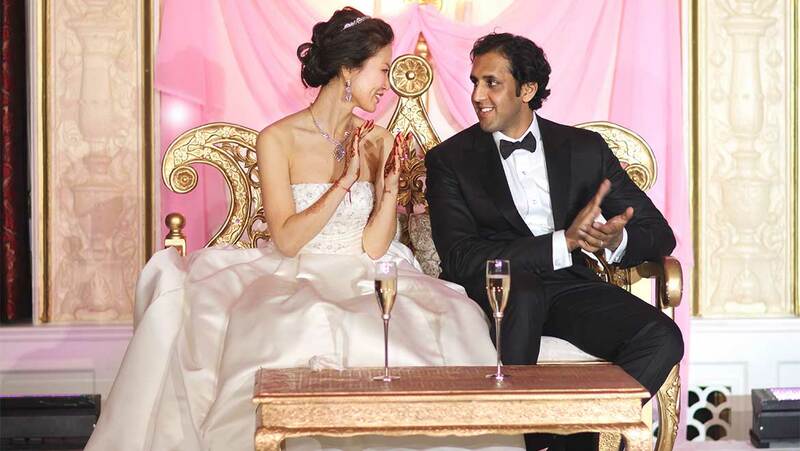 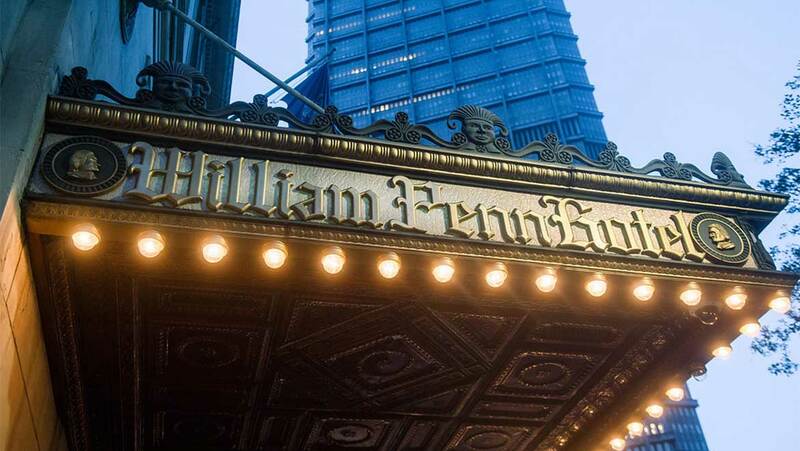 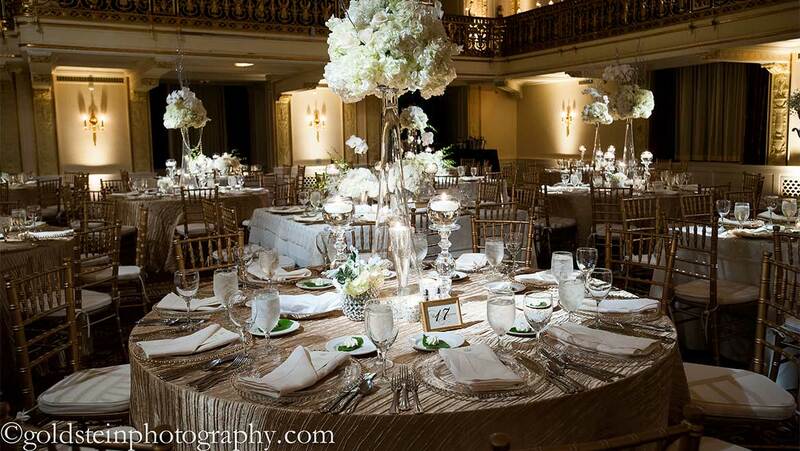 Get inspired by the beautiful weddings we have hosted here at Omni William Penn Hotel. 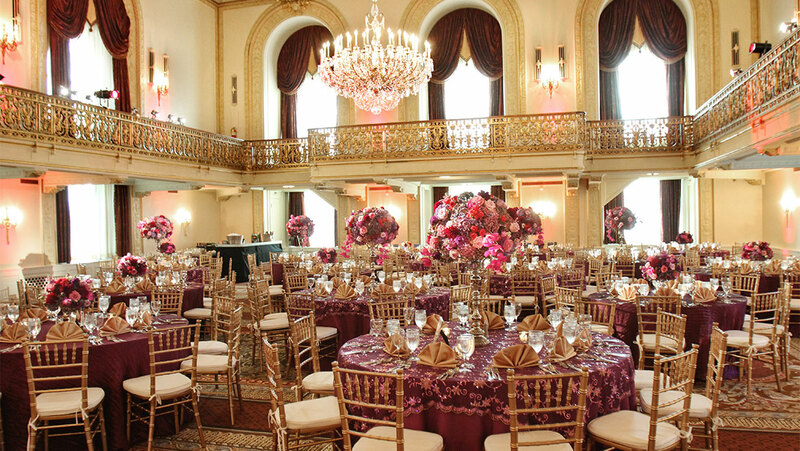 From lavish affairs in the Grand Ballroom to more intimate gatherings in the Bob & Delores Hope Room, we have the right venue and a skilled team of professionals to help make your wedding just how you've always imagined. 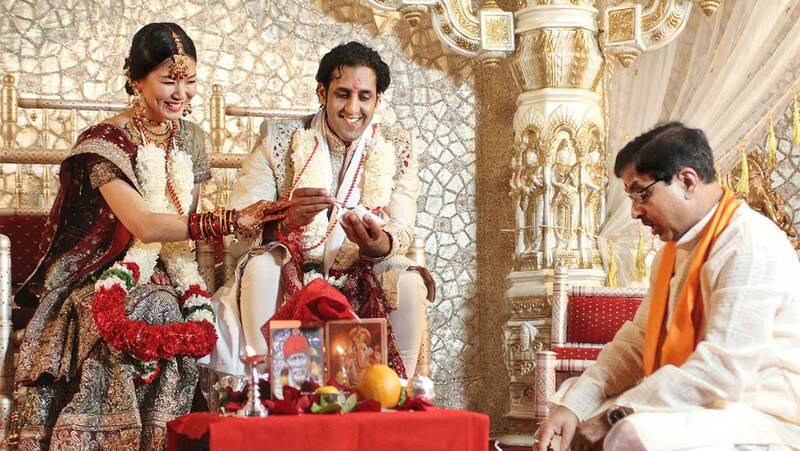 Aneesha and Neil were married in the most spectacular fashion. 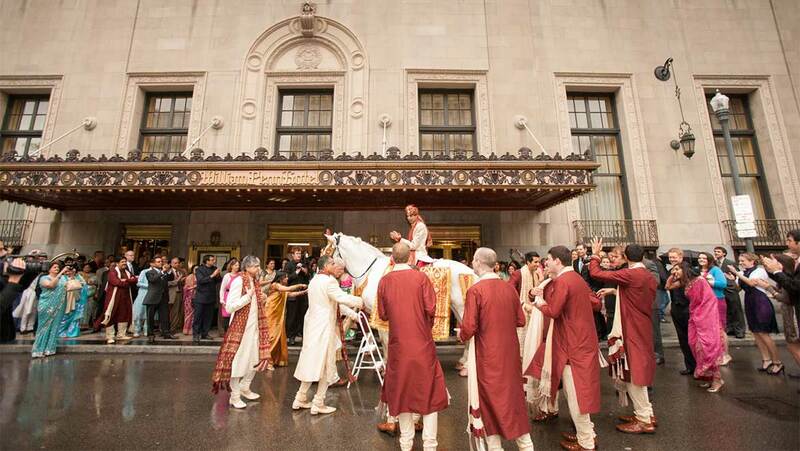 The wedding celebration began with a Sangheet the night before. 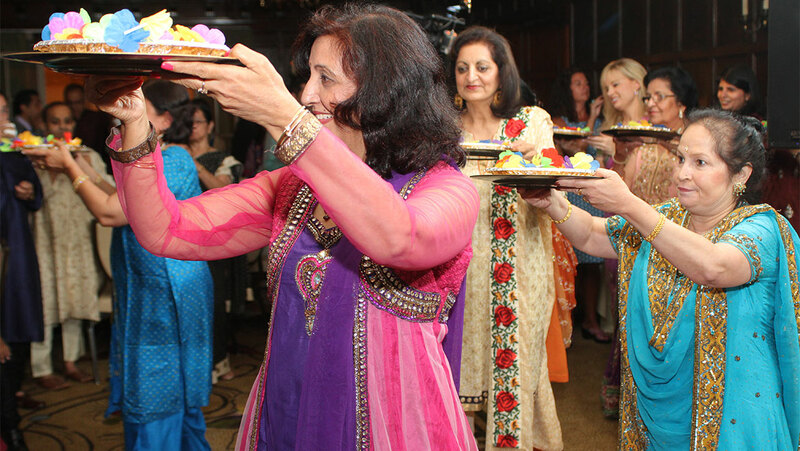 Family and friends preformed Bollywood dances, and the ladies had the most intricate henna tattoos designed on their hands and arms in preparation for the wedding. 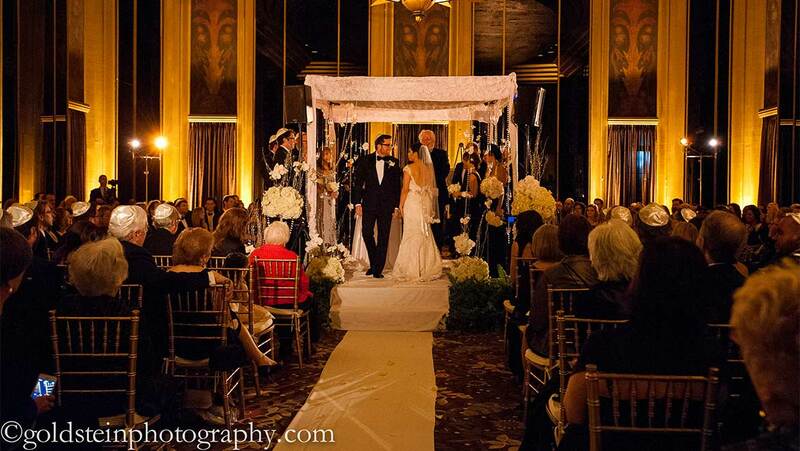 The Mandap in the Urban room was a work of art designed by April Schwietz Mason from Mocha Rose florist. 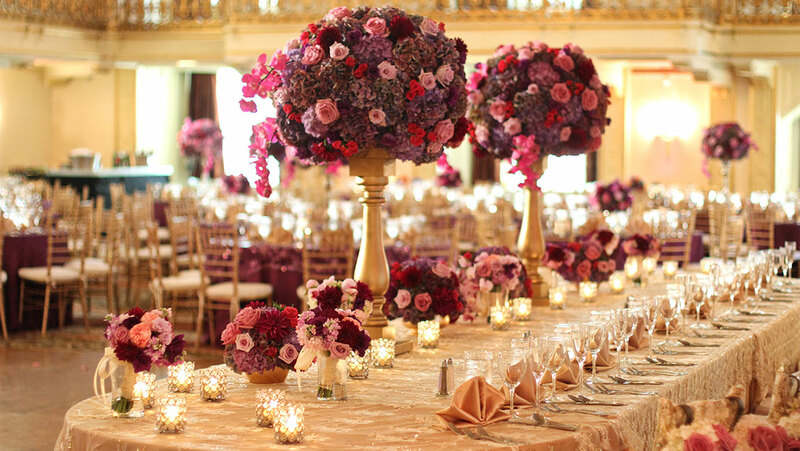 The Grand Ballroom was transformed in a profusion of purple and pink, and beautiful floral nosegays were hung from each gold chivari chair. 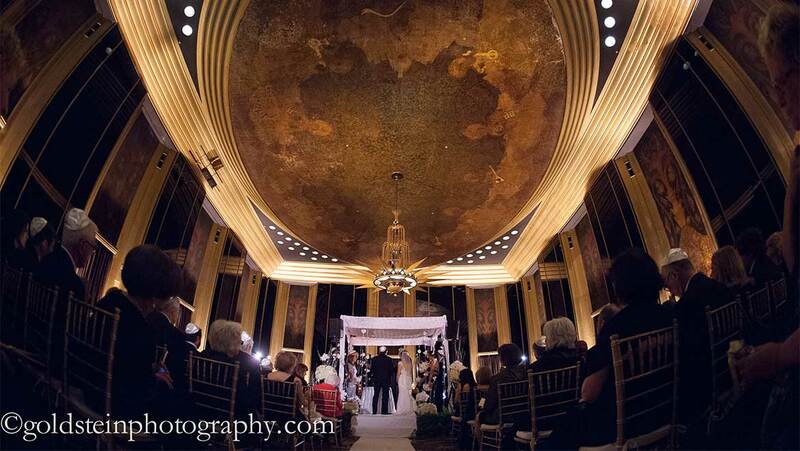 No detail was overlooked in the celebration. 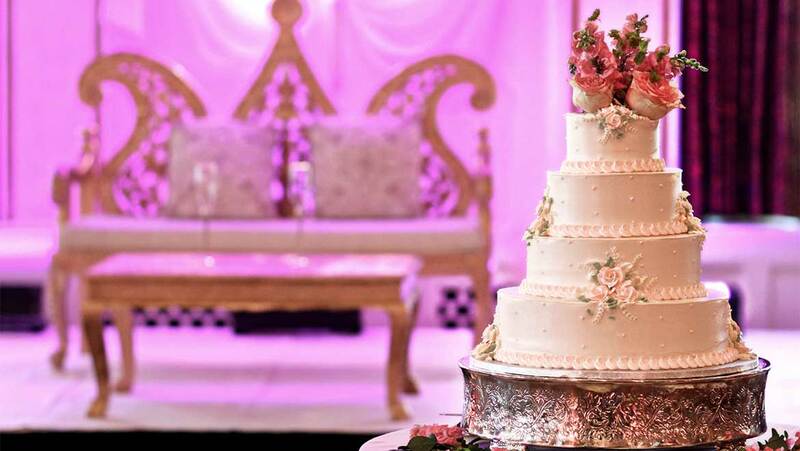 Aliya always wanted a fairytale wedding. 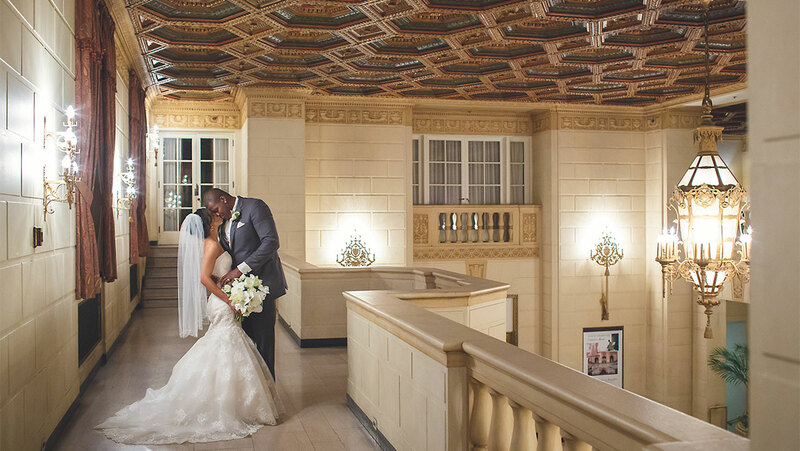 Her favorite was Beauty and the Beast. 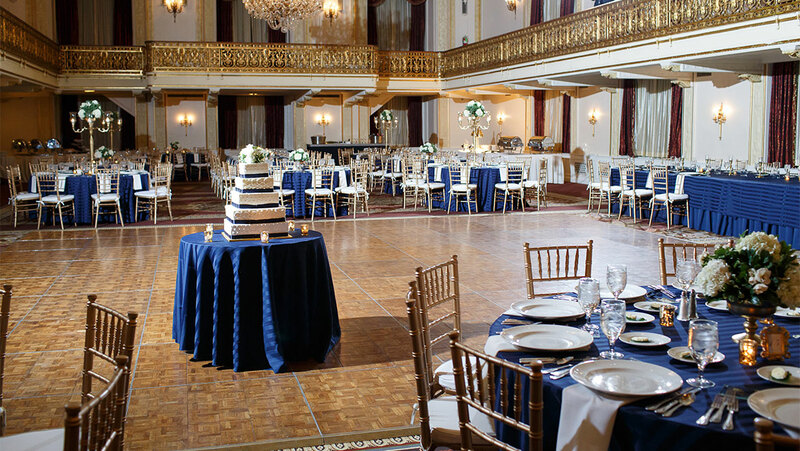 From the first moment she stepped into the Grand Ballroom of the Omni William Penn Hotel, she caught her breath, and looked at Greg and said this is my dream. 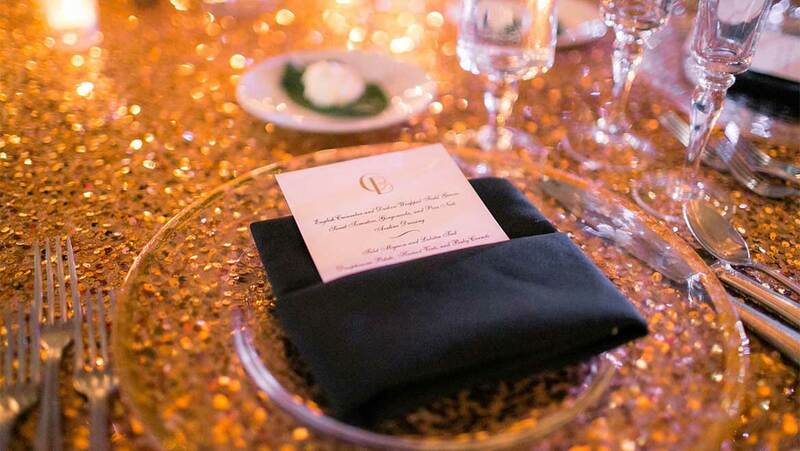 Aliya and Greg had their magical evening surrounded by friends and family. 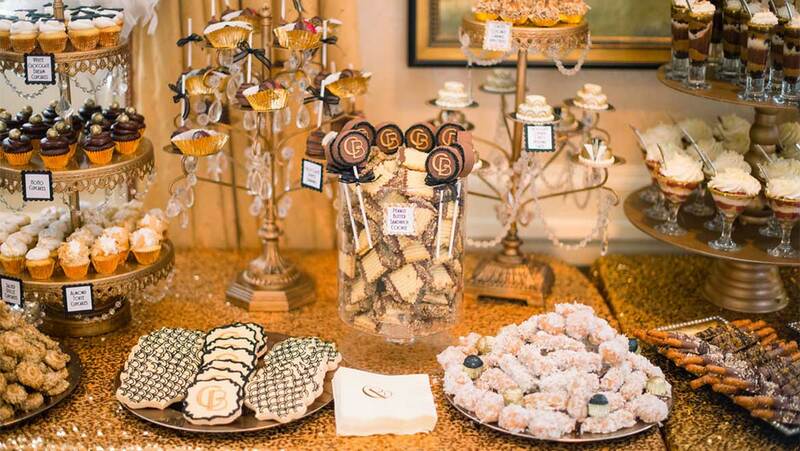 Aliya put small personal touches throughout the room, photos of she and Greg together, the interesting history of the Pittsburgh Cookie Table, and of course, a picture of them with their beloved dog. 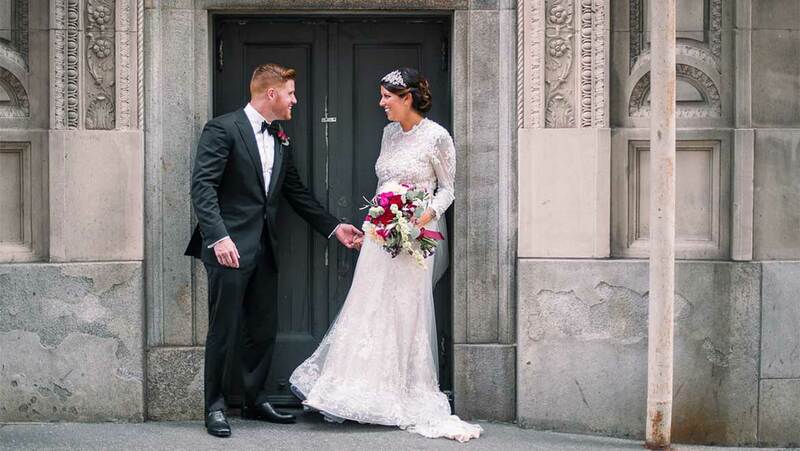 Ellen and Benji wanted a traditional Jewish wedding surrounded by the elegance and glamour that the Omni William Penn Hotel provided. 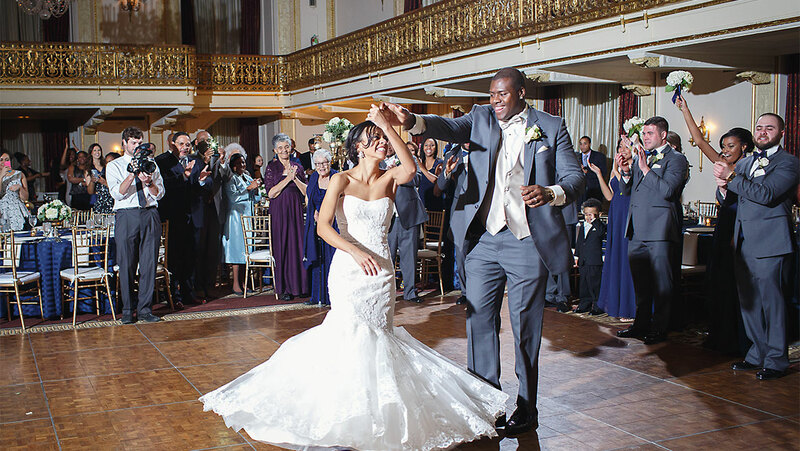 Their goal was to delight their family, friends and business associates and ensure that everyone had a fun and memorable time while helping them celebrate their special day. 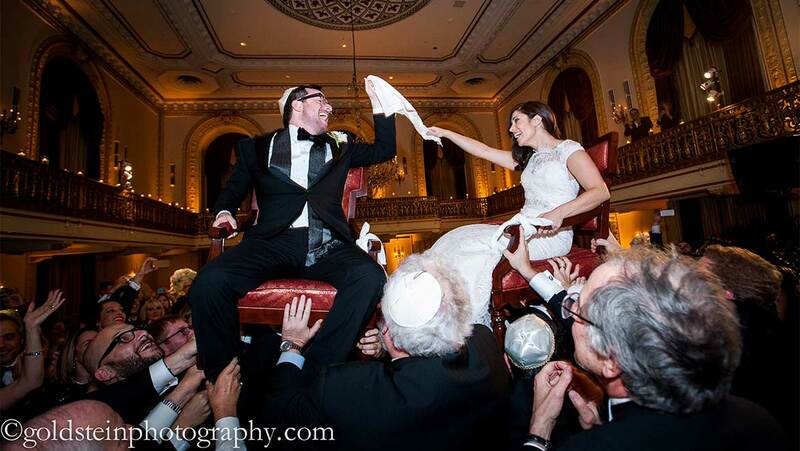 They were especially pleased by the fact that they could have their wedding ceremony along with all of the other Jewish traditions and formalities on one floor that had ample space to accommodate. 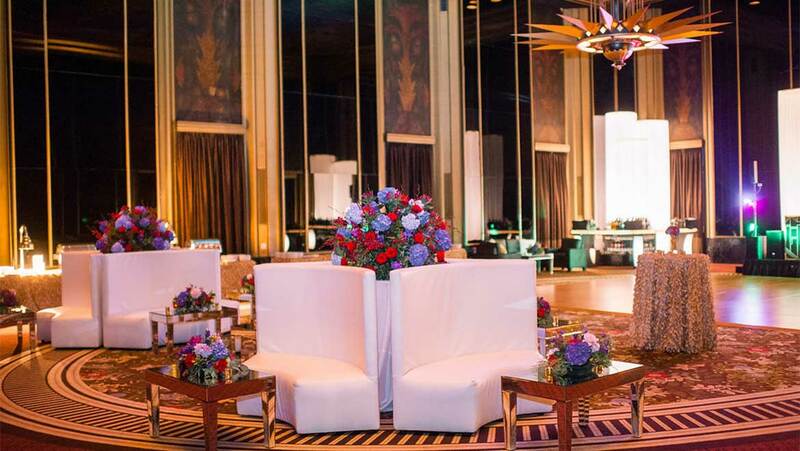 From the beautiful mandap in the art deco Urban Room to the delightfully bright colors of the ladies sari’s, this wedding was wonderful blend of cultures. 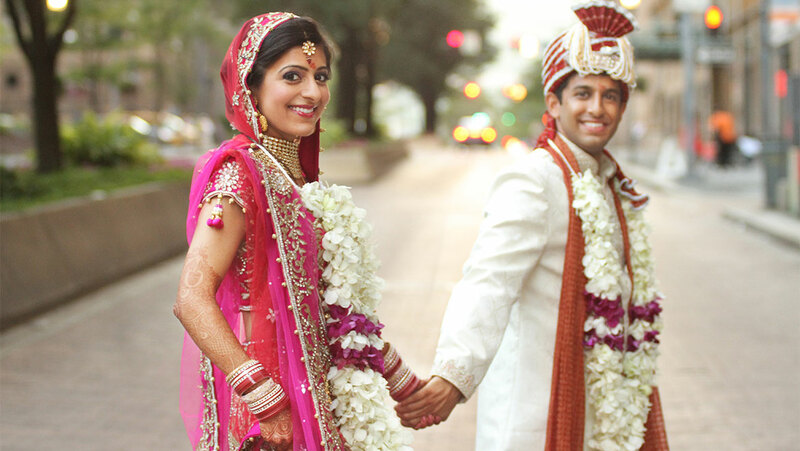 The couple followed the traditions of both cultures and were married in their traditional Indian wedding garb. 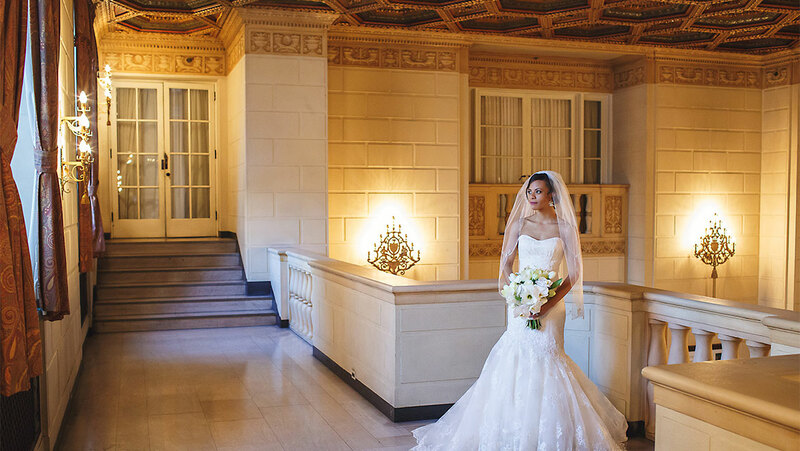 Later, they transformed into the classic western wedding finery with Selohee in a beautiful white wedding dress, and Sanjay an elegant black tuxedo. 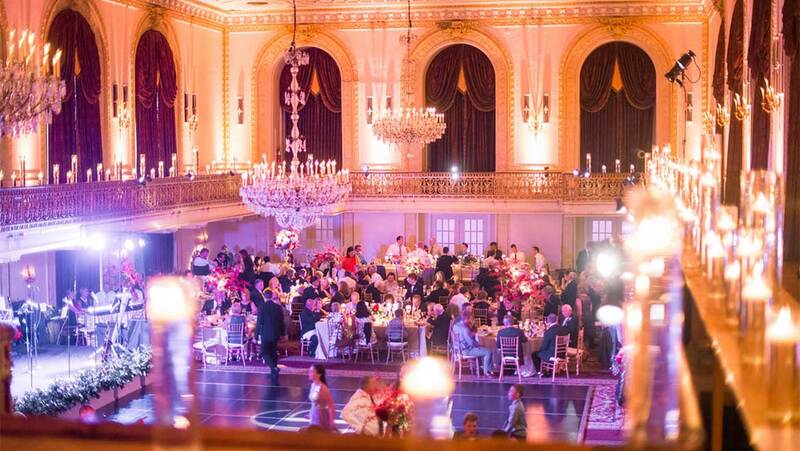 The first dance was truly beautiful. 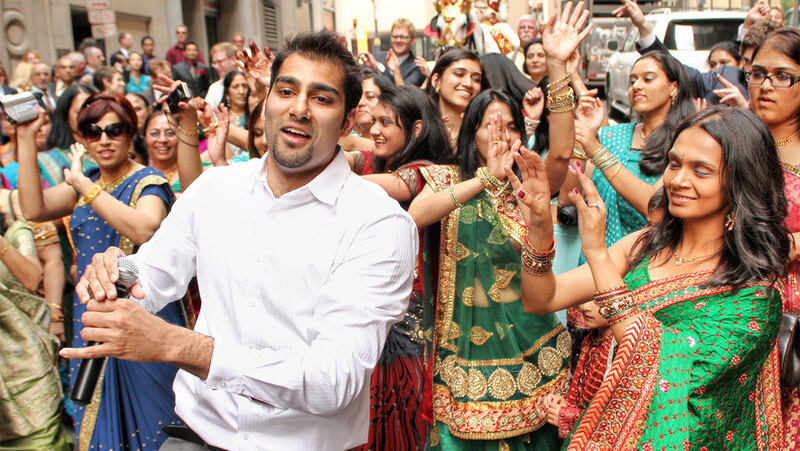 After a wonderful meal prepared by Taj Mahal the wedding guests danced all night.